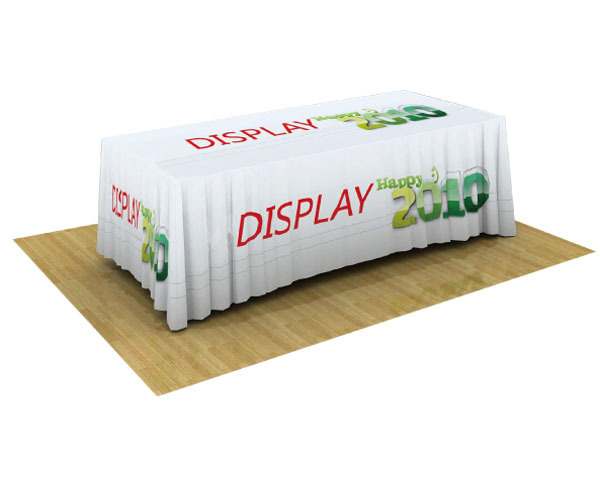 Stylish and elegant,Table Throw professionally present your company image.These peremium quality Table Throws are easy to care for,washable and easy to store and ship.Standard Table Throws are made to fit 6' , 8' or other custom size. dimensions if you do not always use the same table. The FITTED style is nice if you are always using the same tables, however if the tables you use may change you may be better with the DRAPED style. 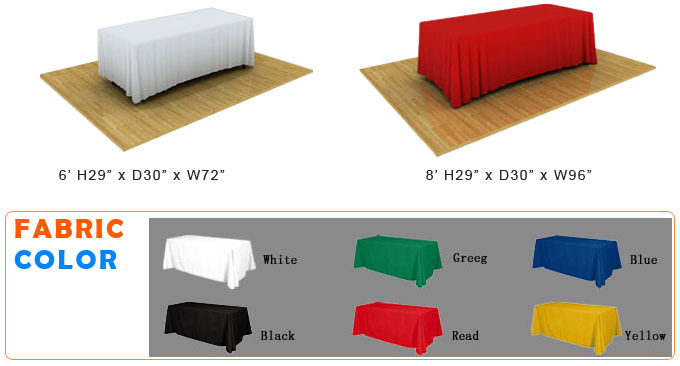 * Table Runners are usually 30", 36", or 48" wide by 66" tall, they go up front and across top of the tables, with a short drop in back. 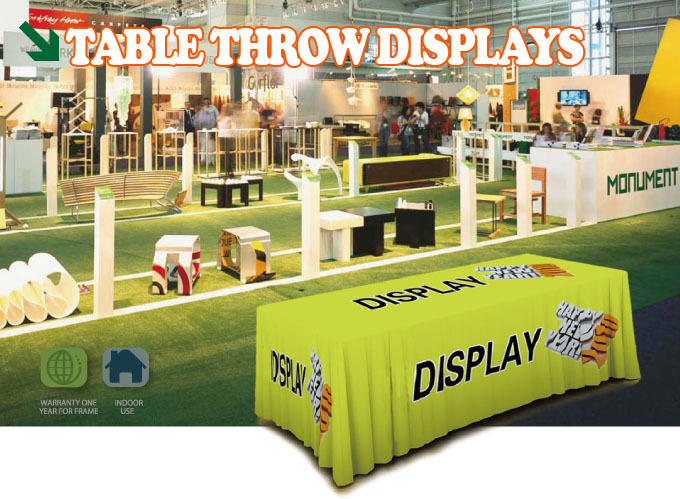 PRINT AN UNLIMITED COLOR PALLETTE EVEN PHOTOGRAPHY RIGHT ON THE FABRIC USING THE DYE SUBLIMATION PROCESS. 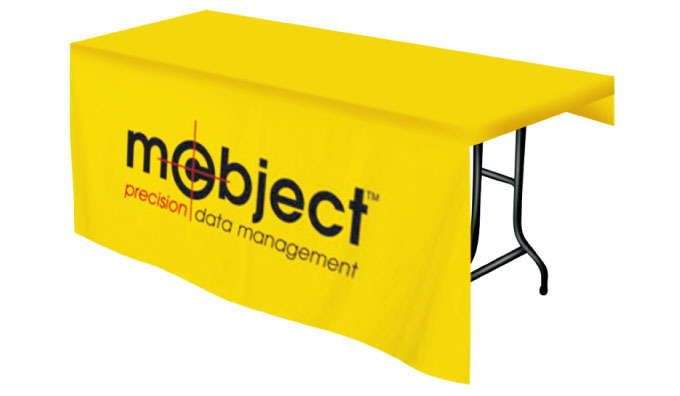 PRINT JUST THE FRONT PANEL, OR THE ENTIRE THROW FOR MAXIMUM IMPACT. YOUR AUDIENCE WILL NOTICE THE BRILLIANT COLORS AND HIGH-RESOLUTION FORMATS THAT ARE NOW AVAILABLE WITH THIS PRINTING TECHNOLOGY.